London Economics has extensive experience in energy economics and has advised a wide range of public and private clients on energy issues for over twenty years. 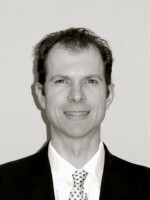 Our energy economics team is headed by Dr. Greg Swinand. 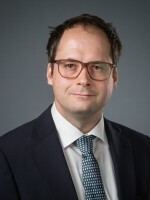 Dr. Swinand has particular and extensive experience in electricity, gas, and fuel markets, renewables, wholesale and retail markets, competition and regulation. London Economics has been a leader in electricity economics since the early days of the UK privatizations. We continued to be leaders in the field of studying competition and electricity generation leading the DG Competition Electricity Sectoral Inquiry in 2007. We recently led sectoral inquiry studies in Germany and a number of other markets. We have provided analysis of competition and regulation for a variety of clients. Our experience includes merger cases involving large electricity and gas utilities, analysis of tolling contracts, contract valuation, estimation of damages from a nuclear moratorium, evaluation of competition and market power. We provide regulatory support for cost of capital determinations and price controls, analysis of distribution network efficiency, price cap other price control mechanism analysis. Selected recent relevant energy studies include a wide range of projects across all the main energy sectors. London Economics recently undertook a major study of liquidity in the GB wholesale electricity markets as part of the inputs of a major CCGT developer in the UK into the CMA energy market inquiry. The study used detailed trading data to estimate the impact of Ofgem’s liquidity windows. London Economics completed a complex study of the requested regulator derogation from the ElecLink interconnector. The study estimated impacts of market power, and the welfare impacts on consumers, and producers, and other owners of interconnection. The study also estimated the impacts on financeability of the project in the absence of the derogation. London Economics provided two major studies of the value of lost load (VoLL) for both electricity and gas in the GB energy markets. London Economics recently completed an extensive review and econometric study of world electricity and gas retail prices for the Department of Energy and Climate Change (DECC) in the UK. London Economics led the major sectoral inquiry study of the EU’s wholesale electricity markets for the EU Commission, DG Competition. London Economics completed a world review of fiscal terms for oil and gas exploration, including developments and scenarios for expected payoffs from finds. London Economics has completed cost-benefit analyses of various renewables, including wind and solar.